Fall is one of the saddest seasons of the year. It is the season of falling leaves, cooling temperatures, the end of summer, “back to school”, and other similar depressing events. It is, in turn, also the time when we have celebrations like Halloween and Thanksgiving, shopping events like Black Friday and Cyber Monday, and an ever smaller count of days to wait until Christmas. And fall is also a time when a series of great games are released each year, ahead of the holiday rush. Let’s see some of the most exciting ones to look forward to this year. Among the many new sensational computer games to play online for free, the Halloween slot machine, set to be released in early October at the 7Sultans Casino, stands out with its topic. Next year, on October 25th, John Carpenter’s classic slasher turns 40 – a respectable age for a respectable, genre-defining classic. To honor the legacy of the movie, the 7Sultans will add a slot machine based on the movie to its library of games. The game will feature characters from the original movie: Lynda, Annie, Loomis, and Laurie, and – of course – Michael Myers himself. It also comes with a series of features and bonuses, and a distinct, creepy atmosphere – perfect to set you in the mood for trick-or-treating. The first Age of Empires game was built by Ensemble Studios and released by Microsoft Games in 1997. 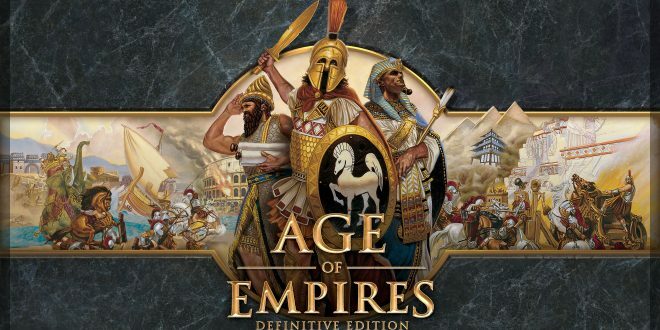 In the two decades that have passed ever since, the AoE franchise has seen three sequels to the original, and spinoffs like Age of Mythology, Age of Empires: Mythologies (a turn-based take on the franchise), and several others. This year, to honor the legacy of one of the first historic RTS titles of all time, Microsoft Studios will release a revamped edition of the original game. The new game, set to be released on October 19th, will have support for 4K graphics, a remastered soundtrack, and other gameplay improvements. Wolfenstein: The New Order brought never-before-seen storytelling to the world of the Nazi-killing video game franchise. Its sequel, Wolfenstein 2: The New Colossus, is set to be released this October to continue where the first (revived) game left off. Wolfenstein 2: The New Colossus is set in the Nazi-occupied America after the German war machine won World War II. William “B. J.” Blazkowitz will once again have a tough job: to lead the militant resistance in its quest to set up a Second American Revolution, meant to banish the Nazi forces from the country. Wolfenstein 2: The New Colossus was announced by Bethesda at the E3 2017. The game was developed by Swedish studio Machine Games, responsible for the first game. Previous The Division review: It’s exactly like Destiny, but with matchmaking!